Step 1, Use the pencil to draw the draft. Step 3, Use the pen tool to draw the outline of the font and it’s better to use AI, which is a vector diagram and convenient to adjust the font, to outline the font and there is no need to worry about the damage of the font. Step 4, Use the eyedropper to absorb the color #0831E to fill the font. Step 5, Set the value of opacity to 85%, which can show the manuscript, to easily outline below. Step 7, Then adjust the value of the opacity to 100% and click the option ‘Lock transparent pixels’. Step 8, Absorb the color #43200D and use the brush to draw the gradient color in the selected part. Step 9, Absorb the color #EA4817 and use the brush to draw the gradient color in the selected part. Step 10, Absorb the white color and use the brush to draw the gradient color in the selected part. Please pay attention to know the font structure and from which side does the light come from, which is better for us to determine the distribution of highlights and shadow. Step 11, Continually adjust the value of the opacity to 85% and go on use the pen tool to outline the three-dimensional lines. As shown in the figure, no need to create a new layer. Step 13, Absorb the color #43200D and use the brush to draw the gradient color in the selected part. Step 14, Absorb the color #EA4817 and use the brush to draw the gradient color in the selected part. Step 15, Absorb the white color and use the brush to draw the gradient color in the selected part. Step 16, This is the font with this method and similarly we can make other characters like this in the same process and only time is what you need. Step 17, Adjust the color and make it redder or yellower depending on the picture. Step 19, Copy the font layer and go into filter – blur – Gaussian blur, then put it at the bottom. Step 20, Then get the effect of shining on the edge. Step 21, Copy one more layer and go into Gaussian blur. Adjust the Parameter higher to make it very fuzzy and put it at the bottom. Step 22, Use the ‘Smudge tool’ of the Smudge tool and daub this layer as the picture to create the feelings like sand or flame. Step 23, Put it at the bottom after the daub. Step 24, Looking for some lightening material and set the layer mode into “screen”. Step 25, Adjust the value of the ‘Hue/Saturation’ and opacity to 30%. Step 27, Set shadow and outer glow on the font layer to make the font more outstanding. It’s almost there after this step. Step 28, In the end, adjust the hue of the picture depending on your own need to make the font integrate into the whole picture. 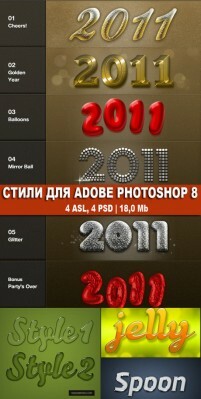 This entry was posted in Tutorials, PhotoShop Tutorials and tagged font design, lightning, Font effects, Gothic, font. Bookmark the permalink.